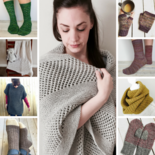 Support Kniterations on Patreon! Love my patterns? For as little as $1 a month, you can help cover the fees required to keep my business running, allowing me to focus on developing more beautiful designs. 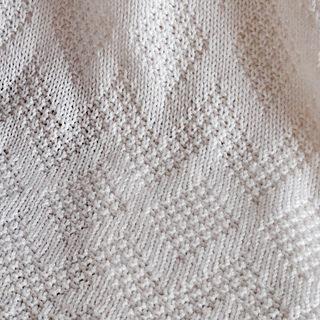 For $5 a month, you get one FREE pattern a month (usually a new release) plus early access to all my test knits! Click here to become a patron today. 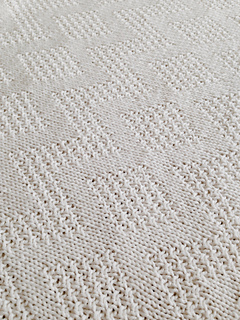 Diamonds and chevrons in moss stitch adorn this textured, rectangular baby blanket. 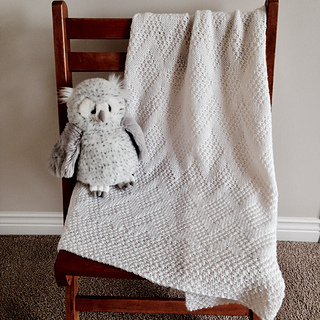 A great size for swaddling, strolling, or simply snuggling, knit this sweet blanket in superwash wool for ease of care. 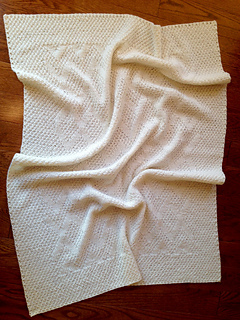 Shown in Cascade 220 Superwash (100% Wool; 201 m/220 yd per 100 g/3.53 oz skein) in colour White (871). *Either one long circular needle or one set of straight needles, as you prefer for flat knitting. Diamond and chevron pattern is both charted and written.